Ocean Storage and Bay Storage can help you stow away your extra items, but when you want to downsize, what do you do with your extra items? 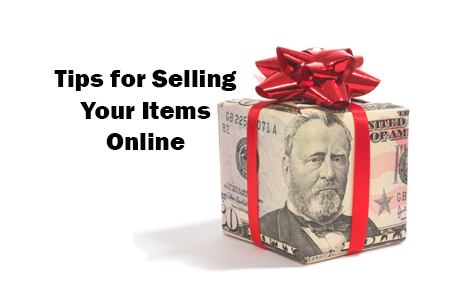 Selling items online is a fast and easy way to decrease your used space and make extra money. Our storage units are ideal when you want to straighten up around the house and want to keep your gear safe. Whether you have items listed online or want to swap out seasonal gear, self storage can benefit you. Ocean Storage has multiple self storage locations in Virginia Beach VA, Norfolk VA, and Yorktown VA. This makes storing your belongings simple. Choose self storage that is closest to you, and start packing today. We have indoor storage with temperature controlled features, and modern self storage for you! Bay Storage is also located in Coastal Virginia and has self storage to assist with your next move. Rent a U-Haul truck at our Cape Charles VA office, a large drive up self storage unit, or speak with our experts today. Post a clear description with details important for viewers and photos to support your belonging. Give the customer all the details they need to make their decision simple. When selling name brand items, take a photo of the inside tags to show authenticity. If there are rips in clothing, or furniture is broken and needs repaired, put those details in the description. Be professional! Selling websites ask for reviews from both customers and online sellers. Avoid posting alcohol related items, since this alerts customer service and many times the post will be taken down. Contact any of our Ocean Storage locations or Bay Storage to start renting your self storage to help when selling items online!